Yes, winter is definitely coming... At least there was the first "snow" today. 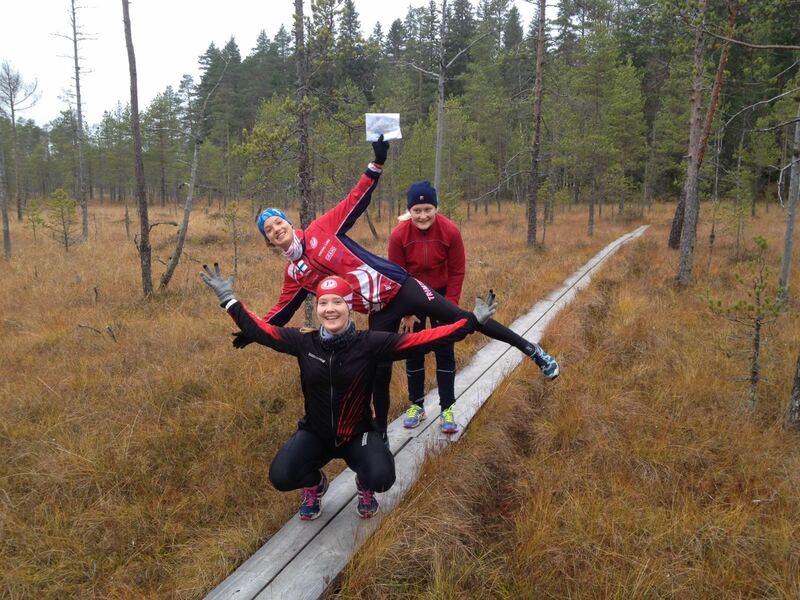 On Wednesday I joined family Haanpää for a long run in a national park (Seitseminen kansallispuisto), which was great! After two hours running on small paths through marshes and beautiful forest, we enjoyed Finnish makkara (sausage), pulla (cinnamon rolls) and Marshmallows. So it was already Saturday after that and I joined again the Haanpää-family to go to Iltarastit in Pinsiö, where the extra-long last week was. There was a massstart, which made the whole competition more interesting. I could keep up with the first ones until the "Salmiakki" (Phi-loop), there our courses split up and I had to continue into the opposite direction. Even though I made a little mistake on the first loop, I was able to catch up again with the others and even managed to take the lead at the 3rd last control. It was a very nice competition and this time I didn't have any big problems in the difficult part.